The harrowing true story of Harriet Jacobs' life as a slave in the years leading up to the Civil War comes to the stage in "Harriet Jacobs," a new play by Lydia R. Diamond. Presented by Underground Railway Theater in collaboration with artists from The Providence Black Repertory Company, the production will play Central Square Theater from January 7 - 31. "Harriet Jacobs" is the story of a remarkable woman's resistance to oppression. To escape a predatory master, Jacobs hid in a crawl space for seven years, watching her children grow up under the care of her own grandmother. 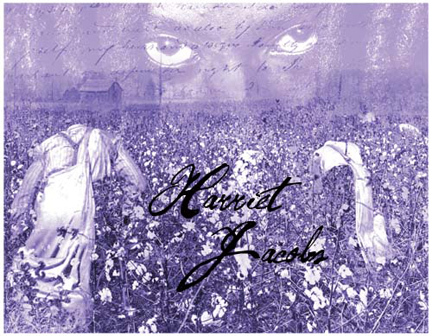 In Lydia R. Diamond’s adaptation of Jacobs’ autobiography, Incidents in the Life of a Slave Girl, Harriet reaches out from her own era in an effort to have us look at our history, as if for the first time. Directed by Megan Sandberg-Zakian, this inspiring, poetic, coming-of-age story is based on the only published book-length slave narrative written by a woman. Interestingly, Harriet Jacobs also has several local community connections: after her escape from slavery, she spent years running a boarding house for Harvard students, the site of which is marked on the Cambridge African-American Heritage Trail. She is also buried in Mt. Auburn Cemetery. The Underground Railway Acting Ensemble includes Kortney Adams, Ramona Alexander, Sheldon Best, De’Lon Grant, Mishell Lilly, Raidge, Obehi Janice and Kami Smith. Lydia Diamond’s plays also include: "Stick Fly" (in production at The Huntington Theatre in February 2010), "Voyeurs de Venus," "The Bluest Eye," "The Gift Horse," and "Stage Black." She is on the faculty at Boston University, is an ‘06/07 Huntington Playwright Fellow and a current TCG Executive Board Member. Director Megan Sandberg-Zakian was the Associate Director of The Providence Black Repertory Company from 2005 till 2009, where her production of Tracy Letts' "Bug" was nominated for four RI Motif Awards including Best Director and Best Production. Other recent projects include a contemporary rock-musical version of Brecht’s "The Good Person of Szechwan," an adaptation of "King Lear," and a workshop of Jacqui Parker’s "Jeanie Don’t Sing No Mo’" (at the Huntington Theatre). This spring she will direct the Rhode Island premiere of "Hedwig and the Angry Inch" at Perishable Theatre. This marks the first creative partnership between Underground Railway and Providence Black Rep. The actors come from both Providence and Boston, the director is the resident director for Black Rep, and the design team includes artists who have worked with both companies. Following the Cambridge performances, a chamber version of the play will be performed in Providence (dates and venue will be announced). For tickets, call 866-811-4111 or visit www.centralsquaretheater.org.